The conference elected to continue with the tournament format developed for the 2010 championship, which excludes the two worst teams in the A-10. CBS reported that last year’s A-10 championship game drew approximately two million viewers, which is unprecedented for the league. Subsequently, CBS will again carry the final in 2011 (more on that partnership later in this article). 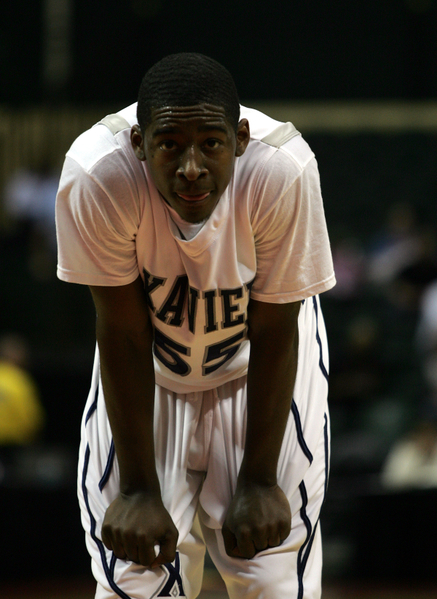 Jordan Crawford, Xavier’s sophomore wing, became the Atlantic 10’s first player since Temple’s Mardy Collins in 2006 to be taken in the first round of the NBA draft. Crawford, selected as the 27th pick by the New Jersey Nets, was a transfer who logged a single season with the Musketeers before jumping to the NBA. He was the 15th Xavier player drafted since 1990, and follows Derrick Brown, who was drafted in the second round in 2009. More player recognition came from the USA Basketball organization when they invited Dayton swingman Chris Wright and Temple power forward Lavoy Allen to join the Select team that served as the scout team for the US National squad during run-throughs in Las Vegas this summer. The Select team worked the National Team in a series of practices and exhibition games out in Las Vegas, Nevada, in late July. At least seven A-10 players from three conference teams have or will see playing time on international teams this summer. The conference’s facilities race continued this off season, as Duquesne and George Washington both improved their on-campus arenas. Duquesne replaced the seats in the Palumbo Center and added a center-hung Daktronics video scoreboard. George Washington has nearly completed a three-phase renovation of the Charles E. Smith Center. The last phase includes a makeover of the building’s exterior, the lobby, several other interior spaces and a new scoreboard. Temple announced a $48 million renovation project for Pearson/McGonigle Halls that will include a new practice facility for the men’s basketball program. The athletic department has launched a campaign to raise about a third of the money privately. How will the departure of Xavier's Jordan Crawford impact the A-10? Checking a given team’s returning minutes against their Pythagorean Winning Percentage (PWP) from the previous season (conference games only) is a good predictor of how that team will fare in the following season. Four teams (St. Louis, Richmond, Xavier and Rhode Island) had a PWP above average, plus above-average returning minutes, which strongly suggests they will do no worse in 2011 than they did in 2010. In fact, teams in that boat will most likely improve their position in the conference the next year. Four others (Fordham, St. Bonaventure, La Salle and Saint Joseph‘s) had below-average PWPs and below-average returning minutes, which suggests that the team is more likely to regress. Temple – The Owls may fall outside of the “above average” quadrant, but Temple returns +4.8% (above the conference average) of their points scored and +2.4% of their rebounding. Gone are glue guys Ryan Brooks and Luis Guzman, but Juan Fernandez, Lavoy Allen (who flirted briefly with the NBA draft before returning to school), Michael Eric and A-10 Sixth Man of the Year Ramone Moore all return. Five Temple players have benefitted from a summer that included structured practices and staunch competition. Rising sophomore guard T.J. DiLeo logged time with the U20 German team in the FIBA U20 European Division A Championship. Incoming freshman Aaron Brown, a recent graduate of the famed St. Benedict’s Prep in Newark, New Jersey, had an extended run with the Virgin Island team, first competing in the U18 Americas Cup in San Antonio, Texas, then with the Virgin Islands in the Centrobasket Championship in the Dominican Republic. Rising sophomore Carmel Bouchman logged time with the Israeli U20 team, which also competed in the U20 European Division B Championship. Allen was selected to the scout team which helped prepare Team USA for the upcoming FIBA World Championship in Turkey. Fernandez, who is competing in the same event for his native Argentina, will arrive on campus late this semester, as the tournament runs through September 12. Richmond – The Spiders say goodbye to the streaky David Gonzalvez and Ryan Butler, but Coach Chris Mooney will have another season of A-10 Player of the Year Kevin Anderson. With returning numbers better than the conference average in minutes, points and rebounding, Richmond is positioned to challenge for the conference title. The one cloud in this picture is the style of play. Last season, Richmond’s inside/outside stat was -3.8, suggesting the Spiders leaned towards the perimeter. The inside/outside stat for the returning players is +7.88, indicating that the Spiders’ offense will move closer to the basket to score. To maintain the style of play installed by Coach Mooney, a variation on the Princeton Offense, the staff will have to find someone from the current roster or an incoming player like the promising Cedrick Lindsay, who can score more frequently from beyond the arc. Justin Harper and Kevin Anderson cannot fill that need alone. Wayne Sparrow, a 6-3 shooting guard out of Maryland and 6-9 combo forward/center Derrick Williams out of St. Anthony’s in New Jersey, round out the recruiting class. St. Louis – The squad avoided a significant distraction last May when St. Louis Circuit Attorney Jennifer Joyce, citing “insufficient evidence,” declined prosecution of a sexual assault complaint lodged against three undisclosed Billikens stemming from an on-campus incident. With their nucleus of Kwamain Mitchell (one of five A-10 players cited by Chris DiSano for his astute performance in tight games), Cody Ellis and Willie Reed intact, and 86.6% of their 2010 minutes and 89% of their scoring production returning for the 2011 season (trailing only Charlotte in the A-10), St. Louis appears to need little, but that did not stop coach Rick Majerus from signing a deep freshmen class that earned a B+ grade from Scout Inc.’s Mike LaPlante. The foursome includes a frontcourt player, a wing and two point guards, one of whom will no doubt spell Kwamain Mitchell. St. Louis also signed Toledo transfer Jake Barnett, a 6’5 combo guard who will have three years of eligibility starting in 2011. Xavier – Second-year coach Chris Mack has to replace A-10 First Team guard Jordan Crawford and Jason Love, the longtime anchor in the low post. While the staff can expect to see 69.3% of the 2010 minutes and 73.1% of the assists return, only 58.9% of the points will be back, so the impact of Crawford’s departure poses questions. Does Coach Mack have another instant offense guy waiting in the wings? The more likely solution is among a committee of veterans in Terrell Holloway, Jamel McLean and Dante’ Jackson, with help from freshmen Justin Martin and Jay Canty. Xavier has enjoyed three straight at-large bids to the NCAA Tournament, and advanced to the Sweet Sixteen or further each year. The school takes steps this season to maintain that national profile by scheduling Butler, Florida and Wake Forest as non-conference opponents. They will also appear in the Paradise Jam invitational tournament, where they are guaranteed games with at least two more BCS conference teams. Dayton – Coach Brian Gregory returns 50.3% of the squad’s 2010 minutes, 57.8% of the scoring and 60.9% of the rebounding, all below the conference average, a void created by the departure of six graduating seniors. The rebounding deficiency is interesting because 2010′s two leading rebounders, the athletic and interchangeable 3s in junior Chris Johnson and well-regarded senior Chris Wright (who tested the NBA draft waters before deciding to return for his senior season) are back. Most of the personnel losses were in the backcourt, and coach Gregory has guard Josh Parker, a high-scoring transfer out of Drake who practiced with the team last season, available immediately. Parker, along with junior Paul Williams, can be expected to contribute from the off-guard spot. Gregory also has highly-thought-of Juwan Staten from the noted Oak Hill Academy to step into departed London Warren’s spot at the point. Staten heads a class of four true freshmen that includes two wings in Devin Oliver and Ralph Hill and another guard in Brandon Spearman. Returnees Matt Kavanaugh, Devin Searcy and Josh Benson, the Flyers’ first three frontcourt options, will have to pick up their rebounding numbers, while 6-9 Euro-style #4 Luke Fabrizius will continue to look for a role (and a shot) in the Flyer offense. Rhode Island – The summer theme in Kingston is “Europe 2010,” as frontcourt rotation player Ben Eaves logged time with the British national team in late June, and Rams starters Delroy James and Marquis Jones head overseas on an early August tour. All three will need something of a jumpstart, as Rhode Island lost Keith Cothran and Lamonte Ulmer, who accounted for 30% of the playing time, 24% of the Rams’ points and 34% of their rebounds last season. Coach Jim Baron, who earned a contract extension through 2014, returns a solid nucleus that includes Will Martel in addition to James and Jones. Rising sophomore and 2010 All Rookie Team guard Akeem Richmond will contend with junior Jamil Wilson for a starting spot. A promising entering class evaporated between December and June. First, the coach’s son, Billy Baron, a verbal from 2009, took a scholarship from Virginia; Then NLI signee, 6-9 forward Kyle Cain, a Chicagoan finishing at New Hampton Prep (NH) who was expected to provide significant help in the front court, requested and received his release in mid-May. Coach Baron bounced back nicely though, corralling four late front court signees headlined by 6-5 #3 Tashawn Mabry, a lefty slasher who weighed offers from North Carolina State and Wyoming before signing with Coach Baron. If Jeff Goodman’s July 28 note comes to pass, add well-regarded but academically challenged Daniel West, a former Tennessee signee by way of Pensacola JC, to the Rams’ 2011 roster. Duquesne – Duquesne’s two rising seniors, Bill Clark and Damian Saunders, tour Europe in August with a collection of college players. Structured practices, international competition and games away from Palumbo should help the team improve its disappointing 2010 road record of 3-12. Coach Ron Everhart’s squad returns most of its contributors, but the losses don’t end with graduating senior Jason Duty; They also lost 7’0 Morakinyo Williams and 6’9 Oliver Lewinson, the tallest members of the 2010 squad, via transfer. The Dukes do return 80.3% of last season’s rebounds, but they were ranked dead last in the conference for defensive rebounding percentage (40.1). Sophomore Rodrigo Peggau and freshman Derrick Martin will be the tallest players available, both standing 6’8. At 210 pounds, one has to be realistic about Martin’s chances to contribute immediately. That means Saunders may be pigeonholed into a rebounding role until Martin bulks up. With three more guards coming in this season, including two under six feet, Everhart could be forced to return to his up-tempo attacking offense next season. Charlotte – After suffering their second season-ending collapse in three seasons (bookends to a disappointing 11-20 2009 season), 49ers AD Judy Rose fired 12-year veteran coach Bobby Lutz and hired Ohio State assistant Alan Major. Major found the cupboard pretty well stocked, and best of all, everyone on the squad who could return has, to this point, decided to stay, Charles Dewhurst excepted. With 81.0% of their 2010 minutes, 84.9% of their 2010 points scored and 90.5% of their 2010 rebounding returning, the 49ers will have a similar look to last season. Senior point guard DiJuan Harris has departed, but Coach Major has two options available. Plan A, sophomore transfer Jamar Briscoe out of North Carolina Central has had a year to practice with the team, while Plan B is Luka Voncina, a 6’4 freshman point guard out of Ljubljana, Slovenia. Together, they will help Derrio Green shoulder the load. George Washington – Coach Karl Hobbs‘ squad was ranked #12 in experience among A-10 squads by Ken Pomeroy in 2010, a number which can only go up, as the Colonials expect to return 75.3% of the minutes logged in 2010. Like Fordham, Hobbs has to replace the contributions of his five departed seniors, chiefly in scoring and on the glass. The biggest loss, as much for his leadership as his on-court play, is 6’8 versatile forward Damian Hollis. The rising sophomores are the biggest returning contributors, but Hobbs is looking for scoring and defense at the three point line (GW was ranked #8 and #13 in offensive and defensive 3FGM% last season). Two candidates are Euro-style forwards Chris Fitzgerald and Nemanja Mikic. Point guard Dan Guest will help in the backcourt. Hobbs hired 15 year NBA veteran Donyell Marshall, a former All-American and Big East Player of the Year, to replace Assistant Coach Brian Ellerbe. Marshall should give a boost to Colonial recruiting and help with game preparation. Massachusetts – How does coach Derek Kellogg solve the problem of having one of the youngest, offensively least efficient teams (#10 in offensive efficiency, #11 in three point shooting) while sporting a porous defense that couldn’t defend the perimeter? After settling on three starters, the staff tinkered endlessly with the last two spots, trying out seven different players at one time or another throughout the 2010 season. Ricky Harris, who never met a shot he didn’t like, has graduated, and David Gibbs is the lone outbound transfer, Coach Kellogg retains 78.5% of the of the team’s 2010 minutes along with 70.5% and 87.7% of the points and rebounds, respectively. The other starters, sophomore Terrill Vinson and junior Sean Carter were efficient, but the chucking nature of Harris and the presence of scorer Anthony Gurley made opportunities for support hard to come by. Kellogg brings in three recruits, the greatest need hailing from the backcourt. Point guard Daryl Traynham out of Washington, DC, is probably the most anticipated of the new arrivals. 6’5 combo guard Jesse Morgan, has a skill set that should fit well with Kellogg’s version of the DDM offense, but he is unavailable until December while he gets his grades up to snuff. Massachusetts also gathered 5’9 pocket rocket Chaz Williams, an All-CAA Rookie first teamer out of Hofstra and 7’0 walk-on Andrew McCarthy. Per NCAA transfer regulations, Williams will sit a year before he is eligible to play. St. Bonaventure – Rising senior point guard Ogo Adegboye was called up to the British national team, and will participate in the Eurobasket qualifiers through most of August, gaining valuable experience playing international ball alongside Pops Mensah-Bonsu and Luol Deng. Four Bonnies were involved in an on-campus incident at the end of the spring 2010 semester, which led to the transfer of two of those involved, Lewis Leonard and Malcolm Eleby. Kelvin Agee, a sophomore guard, left for Division II Gannon College in mid-May. Combining the departed seniors with the outbound transfers, the Bonnies will have opportunities for someone to grab hold of playing time. Junior Andrew Nicholson was smothered in the low post last season as opponents realized they could double and triple-team the Bonnie with little fear of getting burned by perimeter shooting or a sharp-passing point guard. Coach Mark Schmidt’s search for a point guard continues, though Adegboye may grow into the job, particularly if the experience he picks up over the summer bears fruit. The hunt for perimeter offense has yielded Sam deHaas, who was named captain of the Netherlands’ U18 team, is reputed to be a good outside shooter, as is Matthew Wright, a graduate of the Martingrove Collegiate Institute in Toronto. Both will have a chance to operate on the perimeter and take some of the pressure off of Nicholson. Saint Joseph’s – Coach Phil Martelli has another stellar group of recruits coming to City Line Avenue in 2011. Ranked #25 nationally by Max Preps, the collection is headlined by CJ Aiken, Pennsylvania’s Class AAAA Player of the Year in 2010, and Langston Galloway, a Class 1-A First Team All-State selection in Louisiana in 2009. Joining them are two other freshmen and Hofstra transfer Halil Kanecevic. Gallaway will team up with rising sophomores Carl Jones and Justin Crosgile in the Hawks’ backcourt. The large class arrives just in time, as Chris Prescott (St. Peter’s), Bryant Irwin (Furman), Temi Adebayo (Philadelphia U.) and A.J. Rogers (Norfolk State) transferred at the end of the year. St. Joseph’s may have the A-10’s best recruiting class, but it will take time to mold them into a team. Fordham – AD Frank McLaughlin hired Hofstra’s Tom Pecora on March 24, and he’ll replace interim coach Jared Grasso at Rose Hill while Grasso joins friend Tim Cluess’ Iona College staff. Four underclassmen joined three seniors in leaving the program, leaving some holes in the roster. Encouraged by New York City basketball interests to leave his position at Long Island-based Hofstra and move uptown to the Bronx-based Fordham, Pecora wasted little time assembling a staff and filling the available roster slots with three freshmen and a juco transfer (6’10 center Kervin Bristol). Among the freshmen, Bishop Loughlin’s Branden Frazier may be the most promising. A 6’2 point guard with a reputation for shot-making and good passing might provide the playmaking and consistent outside threat that Fordham lacked last season. Pecora, a very good recruiter, has the Big Apple connections and Fordham as his platform to flex his recruiting muscles. But will he get the Rams out of the basement? La Salle – Dr. John Giannini received a contract extension through 2014, which is a good thing for him, because coming off of a 4-12 conference season that featured a winless February, prospects for improvement in 2010-11 are dim. Having weathered senior Yves Mekongo Mbala’s premature departure (2/8/10, broken finger) the frontcourt should be solid, with Aaric Murray, Jerrell Williams, and backup forward Steve Weingarten returning. Devon White (sophomore) and Ruben Guillandeaux (senior) will also be eligible, and Rutgers transfer Earl Pettis will bring his stocky frame to the Explorers. That group will look to replace the production of the departed Rodney Green (graduation), prematurely departed Kimmani Barrett (1/13/10, broken foot), TT Carey and Parrish Grant (transferred). Four freshmen, led by 6’2 point guard Tyreek Duren out of Philadelphia’s Neumann-Goretti, should be able to contribute immediately. The offense wasn’t terrible last year compared to the rest of the conference but it looks to be another long season in Tom Gola Arena if the Explorers can’t improve their defensive efficiency, which ranked 13th in the conference last year. The Atlantic 10 signed its first all-inclusive media partnership package with CBS subsidiary CSTV.com. The move could signal that the conference has finally arrived in the “big media” inner circle, traditionally the mark of a conference above “the Red Line.” The partnership includes marketing rights for several media, including newer technologies like video-on-demand. The move is seen as a stepping stone towards increased coverage on national television. CJ Aiken is a tremendous talent, but chances are dicey that the A-10’s best newcomer will end up donning a Saint Joseph’s jersey from the opening tip. The Pennsylvania’s Class AAAA Player of the Year is still ineligible, though fans will point out that he is on the official roster. Hawk fans see Aiken as a shot-blocker and window cleaner, but it could be all for naught if he isn’t cleared to play. Temple‘s sophomore center, Carmel Bouchman, a deep bench player with the Owls in 2010, may be mulling a move to the Israeli pro leagues rather than returning to Temple. Bouchman logged 12 minutes over nine games last season for Temple, so his loss should have little impact on Temple beyond practice sessions. Massachusetts combo guard Jesse Morgan was a late qualifier, who promises to provide efficient scoring for the Minutemen if he can gain eligibility this December. This entry was posted on Wednesday, August 4th, 2010 at 3:42 pm by Brian Goodman	and is filed under summer school. Tagged: atlantic 10, jordan crawford, kevin anderson, phil martelli, rick majerus, temple, xavier. You can follow any responses to this entry through the RSS 2.0 feed. You can leave a response, or trackback from your own site. I am a little confused by the methodology used in the rankings. It seemed like in the beginning you compared the PWP and returning minutes to determine who was going to be just as good as last year. However, you ranked Xavier 4th, which is worse than the 2nd they finished last season. Now I know Crawford is gone and there are reasons to show they won’t finish 2nd, but if you trust the PWP, you would have to rank them at least 2nd, since that metric strongly suggests they will do no worse in 2011. The same thing goes for Rhode Island. 5th last season but 6th in these rankings. That’s half the teams that PWP strongly suggests will do worse in a worse position. How did you balance this against qualitative factors (such as the best player leaving)? Good question JR, thank you for the thoughtful read through. The method is not bullet proof, but it does give me a starting point as I review and rank the teams. If you read through the Xavier portion again, you should notice that while the X-men return 69% of their minutes, they return (mostly from Crawford, but also Love), only 59% of their points. Do they fall and how far? We won’t know necessarily until we see how well Holloway, McLean, and Jackson work with the newcomers, Justin Martin and Jay Canty. Last season Temple, Xavier and Richmond finished in a very tight 1-2-3 sequence. Anyone who saw the games those three played with each other knows they were very evenly matched. Fourth place still gets Xavier a bye through the Tuesday round, and to Atlantic City for Friday’s quarter-finals. I rank them among the conference elites and in position to make the NCAAs. I was shocked when the Rams ran out so quickly to start the season and conference play, and was disappointed when they finished so poorly. They revived for the A-10 Tournament and the NIT, but I thought they would finish stronger through February. Like Xavier, their returning minutes are higher than their points (though the difference is not as extreme). The Rams’ rising seniors more closely fit the scoring profile of the team as a whole, but the younger classes are more heavily biased to outside scoring. Those differences, plus the recent loss of his two most prized recruits, have me wondering. While Dayton does return fewer minutes, I like their personnel a bit more, and think their incoming players will do a better job of filling the gaps left by departing seniors. When I put those two side-by-side, I feel at this point, Dayton is the stronger team. Of course I thought Dayton would take the conference title last season, and they really disappointed me there. The last consideration for me in working through the rankings was St. Louis. You will notice I pushed the Billikens into the #3 spot in conference. They closed very strongly last February and March, though they did not make either of the “N” named tournaments, they managed to put together a pretty good run through the CBI. Coach Majerus is a veteran coach who is returning 81% of the minutes and 89% of the points from last season’s team. I believe, again at this point in the off season, that St. Louis is going to push into one the of the top three spots in the conference next season. Thanks again for the thoughtful read. Yeah I mean, obviously I agree with you that Xavier is not going to finish 2nd with their losses. I was just a little lost when you mentioned how the PWP strongly suggests they will finish 2nd but you had them at 4th. I was just wondering how much you weighted against each other. I figured you used PWP as a base starting point and went from there but I just wanted to check. Overall nice post. Could you please look up the same stats for Xavier in the last 3/4 years. It seems like every year they lose a ton and every year they win the A10- regular season. Losses of Doellman,Cage, and Cole followed by Duncan, Lavender, and Burrell followed by Raymond, CJ Anderson, and D.Brown didn’t hurt X’s team because they have quality depth and the players wait there turn. Losing Crawford’s points will be easy. I worry more about Love’s rebounding. BTW, the key player that you failed to even mention for X is Mark Lyons. He’s a soph this year after averaging almost 9 his freshman year. I’d look for him to have a marked improvement this year. X will finish no worse than 2nd. Take that to the bank. Yeah, agreeing with this previous XU fan. Every year people say Xavier is going to be down. Last year it was the loss of Derrick Brown and BJ Raymond and the inexperience of the team. The year before it was the loss of Drew Lavender, Stanley Burrell and Josh Duncan and the lack of a point guard. I’m tired of this. We have a good team coming back that’s going to defend and get a lot of points from the guards. We will at least tie for the A-10 regular season for the fifth straight time and I see no reason to doubt that. also, the Billikens will win the A-10 this year. Mark my words. Thanks for taking the time to post Xavier Fan & James XU. I did miss Mark Lyons and will be sure to include him in the 2011 season preview which will be posted on Rush the Court in late October. I did look at stats going back to 2007 Xavier Fan, and I see your point — Coach Mack is actually returning a higher percentage of minutes for 2011 than the 2008-2010 teams. The difference is the percentage of returning minutes and returning points — going back over those years, the two were pretty close, within 2-4% of each other. In 2011 the difference is over 10%, and well beyond the difference for the rest of the conference. The Xavier staff has, using the red shirt and transfer rules, developed a good system of insuring the squad that takes the court in any given year an extra season’s worth of practice and orientation. I think you have seriously undervalued the impact of Jordan Crawford on the program though. Crawford scored 718 points last season. That is the most points by a Musketeer in a season going back to Byron Larkin’s 758 points in 1988. Crawford took about one in three Musketeer field goal attempts when he was on the floor. Xavier will most likely return to the pattern of team play/scoring that characterized the squads going back to 2005, and that means a number of players will have to make up the offensive presence Crawford took to the NBA. Stanley Burrell’s 27.9% shot rate in 2005 is the closest (by several percentage points) to Crawford’s 34% rate in 2010. Talk/projections aside, the best part of basketball is the games. No matter what you and I write, the team will settle it on the court. Thanks again for taking the time to share your perspective. The three SLU players involved were Mitchell, Reed and Jon Smith (who is transferring out of the program). This is from a high-ranking official in the SLU compliance dept. Sooo … not a lot of research went into this one, huh? I’ll just handle #14, other people can work their way up. – Rubin is Ruben. As are most people with that first name. – Its weird (albeit not factually incorrect) to list TT Carey (9.0 MPG) and Parrish Grant (17.5) as departing production but not Kimmani Barrett (35.1) or Yves Mekongo (35.6). – Devon White didn’t redshirt last year, that was 2 years ago. Last year he played 28 games. Otherwise, a spot on analysis of La Salle. Keep up the work! Looks like Bob Woodwards is in the employ of Xavier with all that info on our SLU guys getting busted. I don’t know if that is common knowledge, or if privacy issues kept those “unnamed players” unnamed for a reason, but good digging. Do you work for the Cincy Enquirer? Sam Mills and Cole Stefan are top freshmen recruits for La Salle that will surprise many. No way the Explorers finish below 5th place with Murray winning POY. Metz: The only way St.L has a shot at the A10 this year is if Jabba the Hut Majerus eats Coach Gregory at the lunch buffet. Your boys have no heart and marginal talent. The only chance you have is to move to the MVC. Dayton will rule this league for the next 4 years until BG moves on the Michigan State. Funny that Chris Gaston did not even get mentioned for Fordham. He was the rookie of the year. Please find someone who actually follows the A10 rather then covering from afar with Big East tinted glasses. Hey, everybody. Given the number of issues people had with this Summer School article, we gave our correspondent Mr. Dzuback another crack at it. He’s come back with an updated revision, and I’ve substituted it here. I didn’t want to change the post and NOT tell people what we did (unlike some major media outlets, ha), so give the new version a read and tell us what you think. We appreciate everyone reading the site. We love the A10 around here, and the revisions to the article by our correspondent are indicative of our desire to show the conference the respect it deserves and have the best and most accurate information possible. Thanks! Can’t wait until the new season. Can’t get here fast enough. Mr. Dzuback – could be good to add Gonzaga as one of XU’s key non-conference opponents in your list of Wake, Florida, Butler?